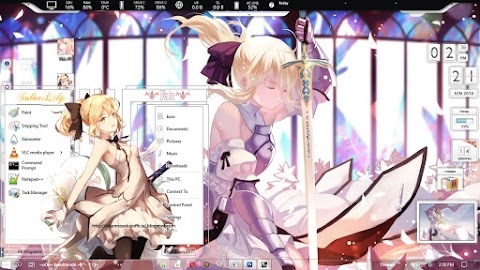 hello guys, i come again, with a new theme again. 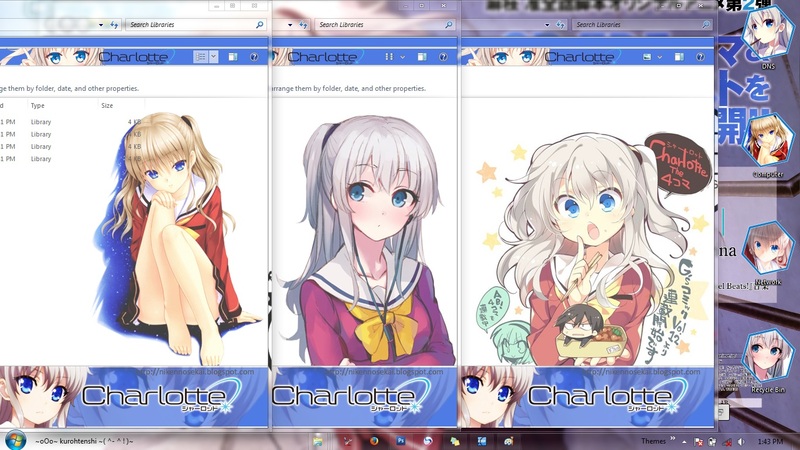 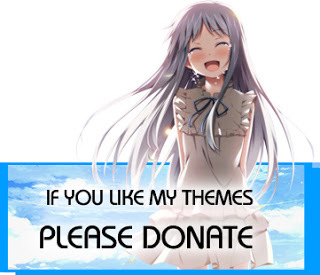 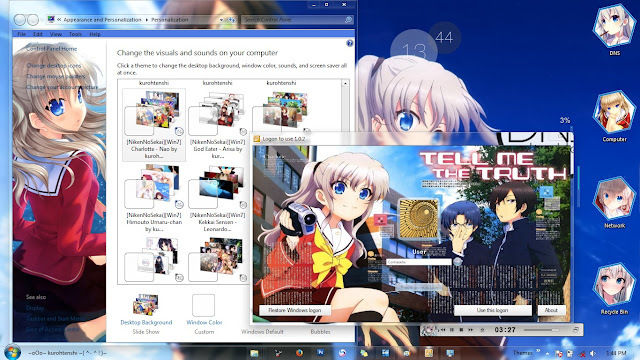 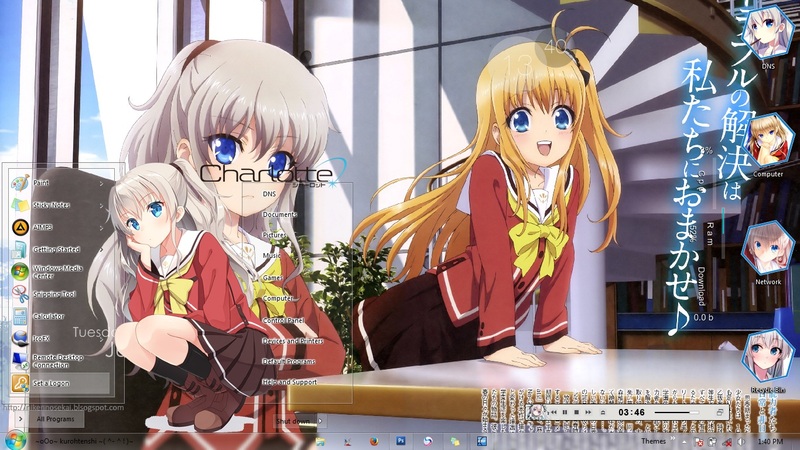 This time i create a theme with a new anime, Charlotte シャーロット. 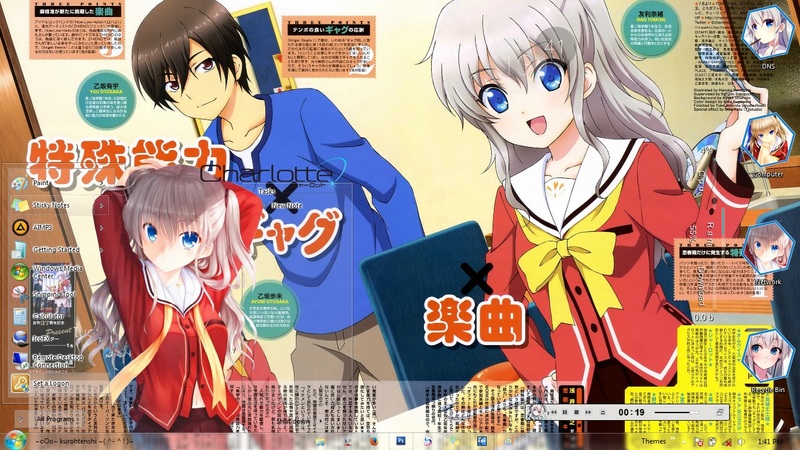 I use the one of main character of this anime, Nao Tomori. 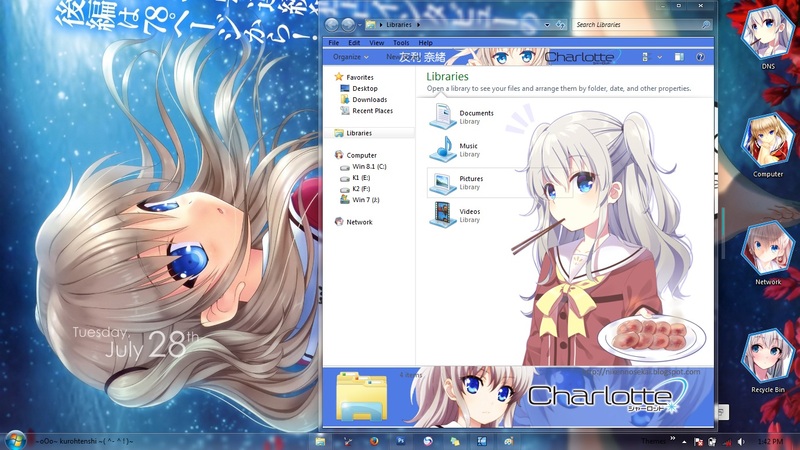 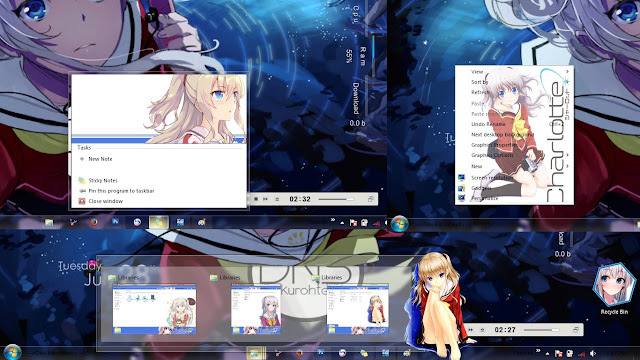 just like Umaru-chan Theme for Windows, this theme has 4 explorer background too.